Jumbo is born in the Sudan. His mother is hunted and killed not long after his birth. Her infant, Jumbo, is captured by Sudanese elephant hunter Taher Sheriff. 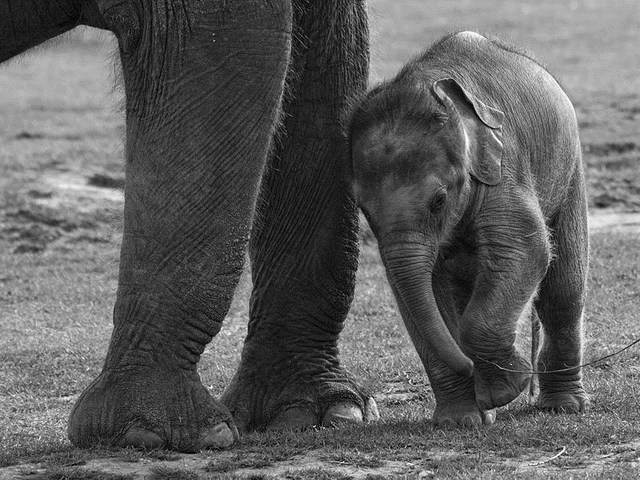 The London Zoological Gardens, the other top zoo in Europe, is desperate for an African Elephant. They proposed an exchange for one of the elephants in the Paris zoo. The French agree, and in exchange for one elephant they will receive a rhinoceros, two dingoes, a jackal, a possum, a kangaroo and a pair of eagles. 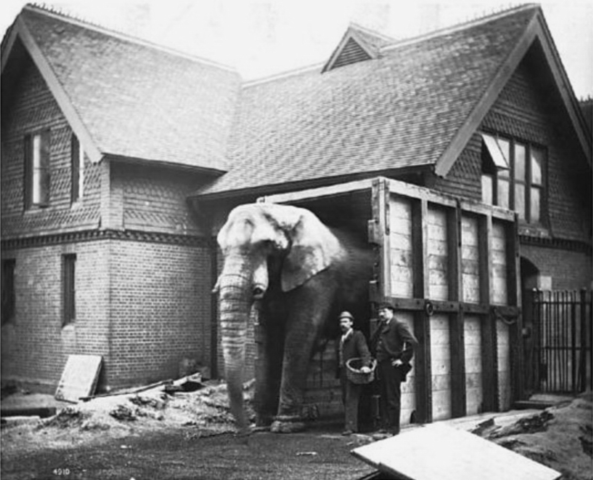 Jumbo is shipped to England. He is in poor physical condition. He is ill, dirty and emaciated from maltreatment. He get a keeper, Matthew Scott. Jumbo is nursed back to health by his trainer Matthew Scott, aka ‘Scotty.’ It is now that Jumbo is named. Many stories surround the meaning of the name, but they include variations of the Swahili words ‘jambo’ meaning ‘hello,’ or ‘jumbe’ meaning ‘chief.’ Another story goes that he was named after the phrase “mumbo jumbo” which existed at the time to describe African idols. 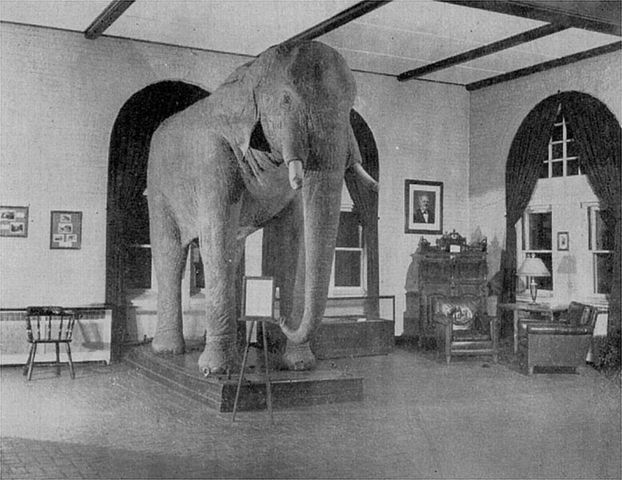 Jumbo was small upon arrival, but continues to grow, reaching dimensions of 12 feet height, 14 feet length, 18 feet around. A howdah, the traditional elephant saddle, is placed on his back and he begins giving rides to children. This is the start of the zoo’s most popular activity. Among the children who ride Jumbo are the Prince of Wales and the other children of Queen Victoria, a young Winston Churchill and a number of children of the titled heads of Europe. 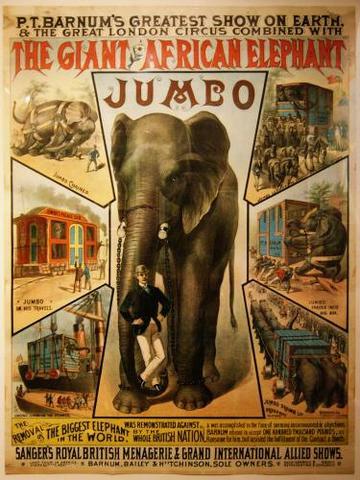 Jumbo comes to the attention of circus magnate P.T. 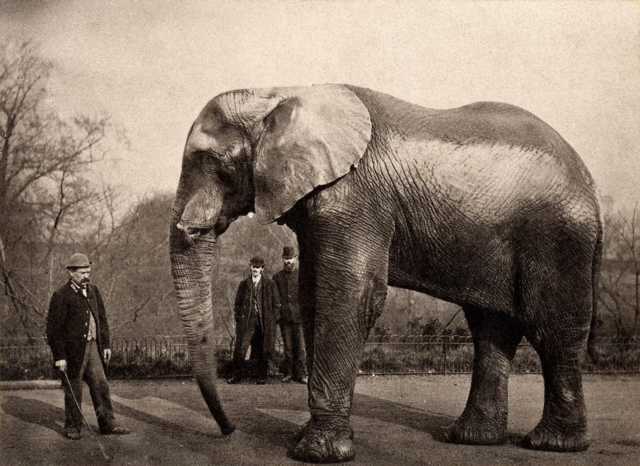 Barnum.Jumbo's size has become legendary and Barnum wishes to acquire the biggest elephant in the world. 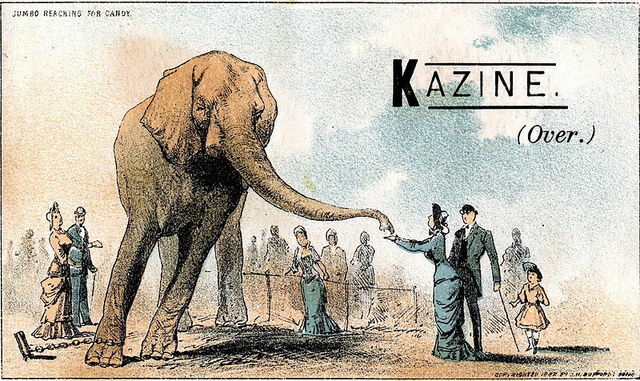 He offers to purchase the elephant from the zoo. The zoo, aware of the fact that Jumbo is approaching his ‘musth’ period in which male elephants become dangerous and unruly, offer to sell Jumbo for £2000. Sale finalized February 1st. The English people are outraged that the zoo would sell its most beloved animal and they flock to see him. This outpouring of anger leads to a fund to get him back. In the meantime, several attempts are made to get Jumbo into his crate for the trip across the ocean. His obstinacy is due to Scott training the animal not to enter the crate. Under pressure from the public, the zoo tries to revoke the sale. However, Barnum claims ‘I would not sell him for $100,000. America is waiting." In March, a lawsuit is launched against the Zoological Gardens suggesting that the sale of Jumbo was in violation of zoo bylaws. However, the court rules that because the sale had been ratified at a council meeting it implied the consent of the Council. 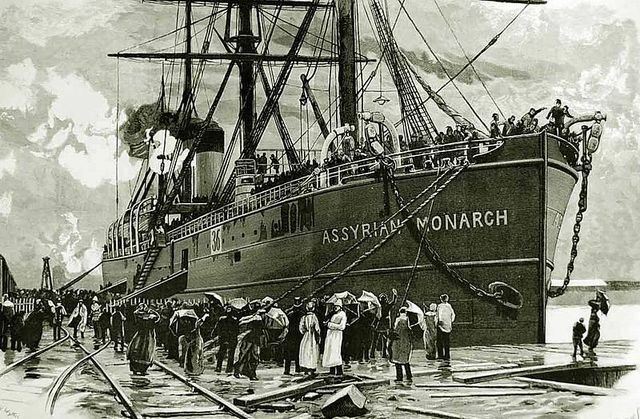 March 23, 1882 - He is transported to the docks to board the ‘Assyrian Monarch’ for his journey to the United States. March 24, 1882 - Accompanied by Matthew Scott, Jumbo sets sail for America. 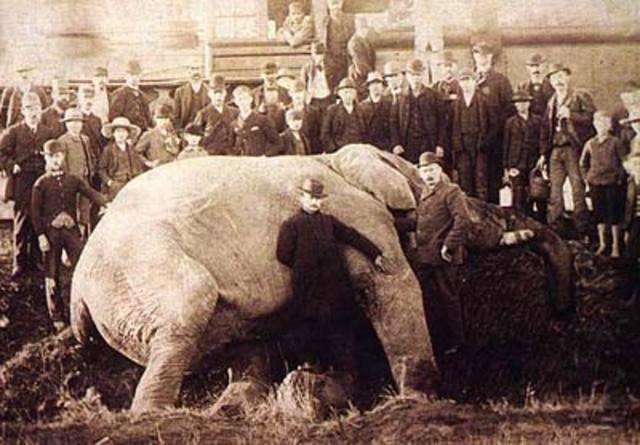 The entire purchase has ended up costing Barnum £6000. Jumbo arrives in New York. Jumbo is displayed in America for the first time at Madison Square Garden. 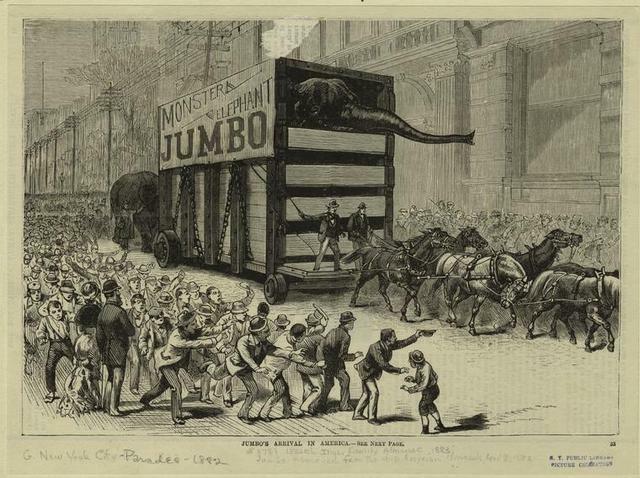 1882-1885 Jumbo transported across the United States with the circus in his own train car called ‘Jumbo’s Palace Car.’ Barnum recoups the £6000 in three weeks. Over the 31-week season, his circus makes $1.75 million, mostly due to his new elephant. Jumbo continues to be a huge draw for Barnum’s circus. 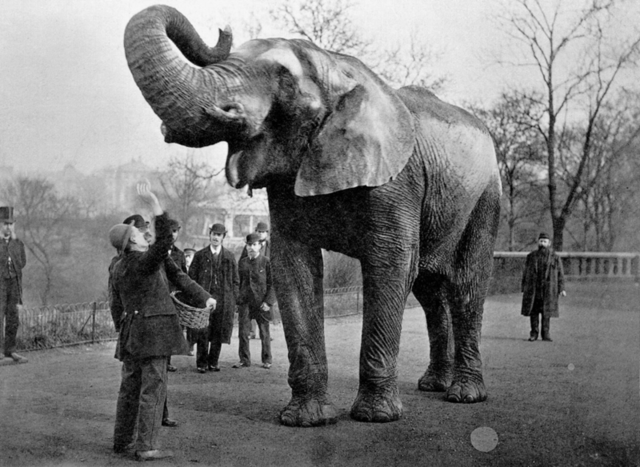 Reviews of his performance are raves, despite the fact that Jumbo is not expected to perform tricks like the other elephants; merely his presence is enough. The circus stops in St. Thomas, a booming rail town. After a successful show, the elephants are being moved to their cars. Along the Grand Trunk track, a train is coming. Jumbo and little elephant Tom Thumb head down the tracks and are the last being loaded in. The oncoming train tries to stop, but it's too late. Tom Thumb is struck first and thrown into a ravine. Jumbo is struck in his hind and the train derails. The trainer Scott manages to leap free. Jumbo clasped his trainer as he dies. It takes hundreds of onlookers to roll the body off the tracks. Tom Thumb is saved by the circus veterinary team in the meantime. Barnum is informed of the incident the next day in New York over breakfast. 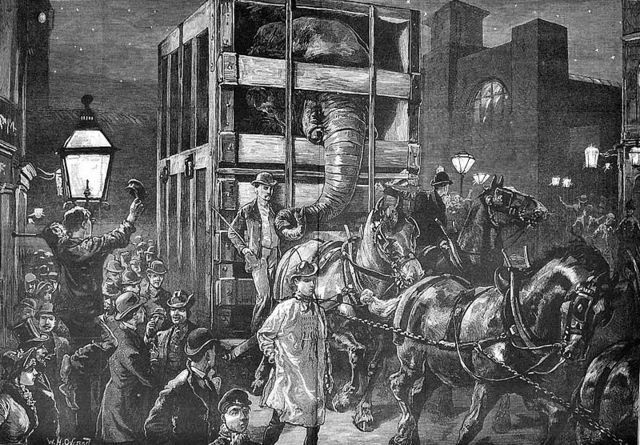 Jumbo’s body is removed from St. Thomas after having been dealt with by butchers and taxidermists. His skeleton is shipped to the American Museum of Natural History in New York and his hide goes to Tufts University in Massachusetts. In the aftermath of the incident, Barnum attempts to sue the Grand Trunk Railway for $100,000 in damages. He claimed Jumbo was worth $50,000. 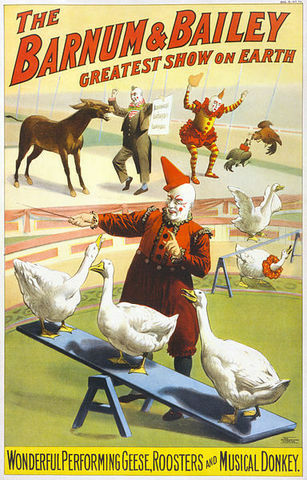 Barnum’s insurance only allowed an animal to be valued at a maximum of $15,000. 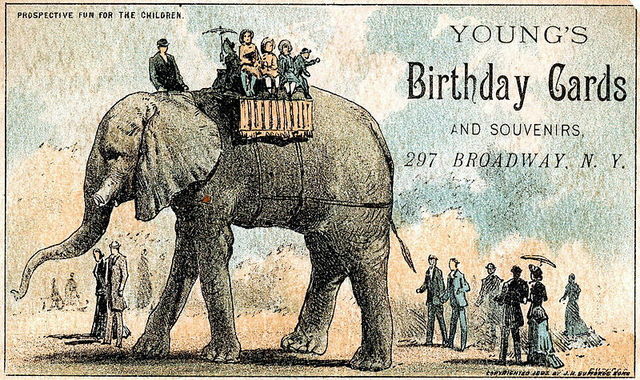 The Grand Trunk stated that if it lost the suit it would own Jumbo’s remains, causing Barnum to back down. 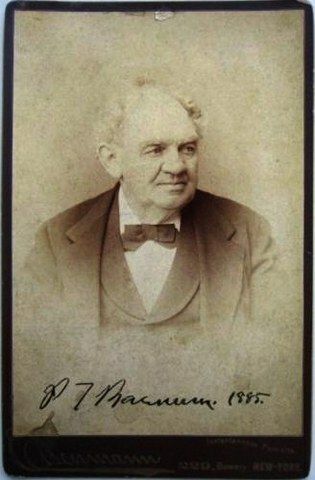 P. T. Barnum dies at his mansion in Bridgeport, Connecticut. Legend has it that he asked about the box office receipts for the day. A despondent Matthew Scott spends his final years in poverty. He writes a biography of Jumbo and himself earlier in 1885, but makes no attempt after Jumbo’s death to capitalize off the incident, as Barnum had. 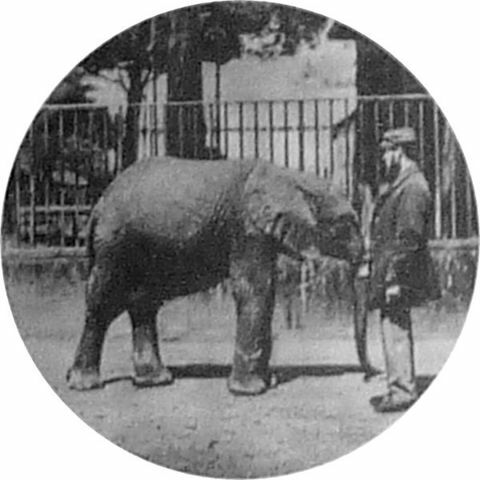 He continues to care for Barnum’s small animals at the circus’ winter quarters in Bridgeport, Connecticut, and dies in the city almshouse in this year. A fire destroys Jumbo’s hide at Tufts University, leaving only the tail, a few ashes, and the charred tusk. 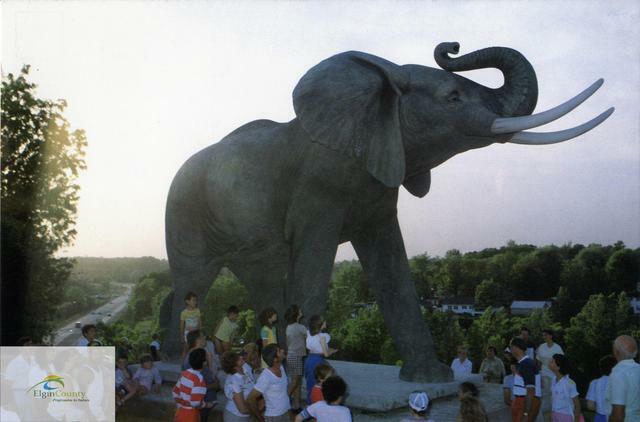 The Jumbo statue is unveiled in St. Thomas, sculpted by Winston Bronnum and transported from his workshop in Sussex, New Brunswick. Railway City Brewing Company is a craft brewery in St. Thomas. As a tribute to Jumbo, they introduced their Dead Elephant Ale. 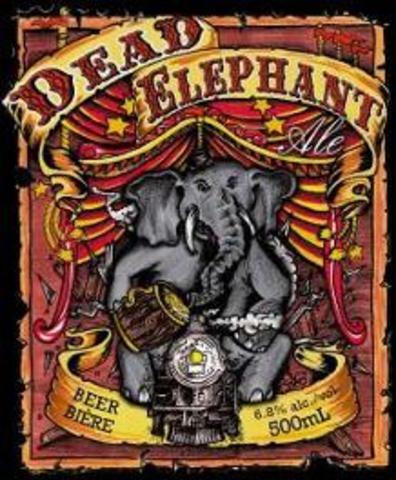 Dead Elephant is a full bodied golden Pale Ale which pours with a linen white medium density head leaving spider web lace on the glass.